Ulster University is now listed in the prestigious Times Higher Education ranking of the top 150 universities under 50 years old. 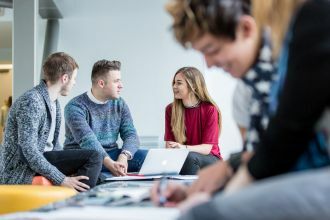 Ulster is a cosmopolitan university, enabling a cohort of almost 27,000 students to meet their personal and professional ambitions. Students at Ulster University are among the most satisfied in the UK according to the most recent National Student Survey, in which the University achieved 88% on the overall satisfaction score. Ulster University was awarded a coveted THE Award 2016 for ‘Most Improved Student Experience’, based on the results of a survey which polled 15,000 students across the UK. Ulster University invests £42 million in research and innovation programmes each year. Ulster University has an alumni network of over 160,000 alumni in 148 countries worldwide. Over 90% of Ulster University graduates have gone into work or further study within six months of graduating. 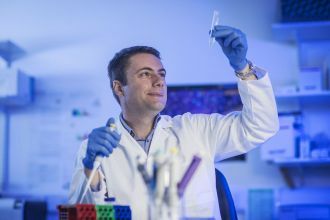 The 2014 Research Excellence Framework identified Ulster University as one of the top 25% of UK universities for world-leading research, based on research power OR 72% of Ulster University’s research activity judged to be world leading or internationally excellent. Ulster University has created 20 spin-out companies which have a turnover of £28 million and employ over 290 staff. Ulster University’s Belfast School of Art, boasts two Turner Prize winners and a further five nominees among its alumni and staff. Full-time and part-time undergraduate courses at four campuses across Northern Ireland. Fulfil your potential with an undergraduate degree from Ulster University. Whatever your personal or professional ambitions, we have an exciting range of courses designed to prepare you for a successful future and a rewarding career. Experience first class teaching, an inclusive learning environment, outstanding facilities and resources, and ongoing support to help you realise your goals. Postgraduate Certificate, Diploma or Masters level courses delivered on-campus and online. Fulfil your potential and enhance your employment prospects with postgraduate study at Ulster University. Our suite of career-focused programmes include master’s degrees, diplomas, certificates and short courses, many of which are delivered part-time or online so you can fit your learning around your life. Find out what Alumni of Ulster University said about their postgraduate experiences at Ulster. For more information on postgraduate study and going to university visit Steps to Postgraduate Study. Opportunities to study towards a research degree at Ulster University. Funded opportunities exist throughout the year and our Annual Studentship Competition runs from December to February each year. If you plan to self-fund your studies or have a sponsor who will fund your research study, you may apply at any point in the year. The Delegation Of Ulster University met with the Federal Minister of Education Mr Shafqat Mahmood in Islamabad. Ulster University Signed the MoU to develop teachers training, professional and management skills in Pakistan with the help of AFAQ. AFAQ a collaborative venture of six not-for- profit organisations working in the education sector, AFAQ has a vision to improve the literacy rate in Pakistan though a diverse range of services: curriculum development, textbooks and children’s publications, model school development, teacher training, youth promotion, career counseling and student assessment and evaluation. Under strict quality control, AFAQ is zealously engaged in realising its lofty ideals. Over the years, AFAQ has grown into an international organisation providing its services in the Middle East, South East Asia, Africa and Scandinavian countries. The mission of Ulster’s School of Education is to empower its students, staff and associates to achieve excellence in the pedagogy and practice of education and in related areas of social science and research. The School of Education seeks to maintain the highest standards of academic rigour in all its work, and to make a positive contribution to the development of the individual, society and the economy, both locally and globally, facing the challenges of change. high quality professional development and practice–based scholarship which supports and enhances educational policy and practice, both locally and internationally.